Da Capo Press, 9780306824203, 432pp. Return once again to the timeless account of the Permian Panthers of Odessathe winningest high-school football team in Texas history. Socially and racially divided, Odessa isn't known to be a place big on dreams, but every Friday night from September to December, when the Panthers play football, dreams can come true. With frankness and compassion, H. G. Bissinger unforgettably captures a season in the life of Odessa and shows how single-minded devotion to the team shapes the community and inspiresand sometimes shattersthe teenagers who wear the Panthers' uniforms. 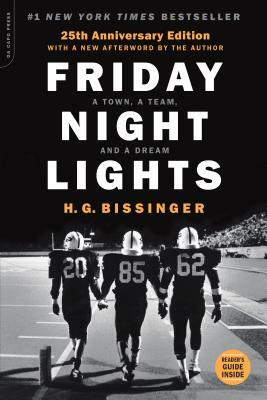 H. G. "Buzz" Bissinger is the Pulitzer Prize-winning author of five books, including the New York Times bestsellers Three Nights in August and Friday Night Lights, the classic that inspired the acclaimed movie and television series. He is a longtime contributing editor for Vanity Fair and has written for the New York Times, the New Republic, the Daily Beast, and many other publications. He divides his time between homes in Philadelphia and the Pacific Northwest.